Future popped up more than a few times this year, but he's now sending off us with one more loosie. 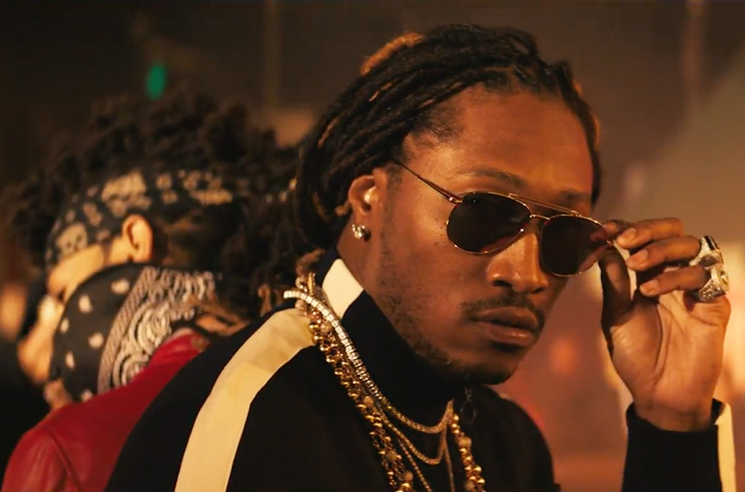 While it's unclear exactly when the track was captured, Future has shared a song called "Hate in Your Soul," which features production from Metro Boomin. The track sprung a leak last night (December 27), but Future quickly embraced it and posted it to his official channels. So down below, you can check out the new — or perhaps old — track. This year saw Future deliver a series of releases, including his chart-topping albums FUTURE and HNDRXX, not to mention a pile of one-offs and guest appearances. There was also his full-on Young Thug collab SUPER SLIMEY. Future's Drake collab What a Time to Be Alive is available on vinyl through Umusic.